Spacious 75 square meter apartment in the modern building from 2018. We provide a parking place in the underground garage! There is a living room with a fully equipped kitchen, dining room, 40" TV set and foldable sofa bed. There are also two bedrooms, each with its own bathroom. 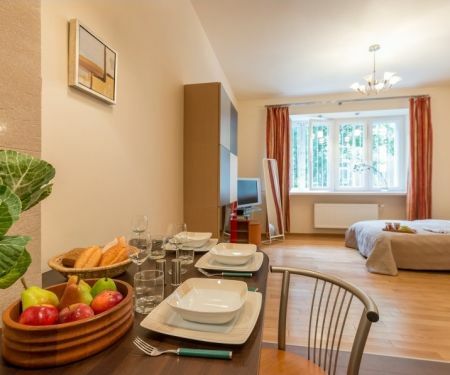 The apartment is perfect for a stay of up to 6 people. The place is located in a quiet neighborhood, with the patio view. Perfect for business travellers and for families.